Christ Church is more than just a group of people who come together to worship on a Sunday. We are a real community, and we believe supporting each other in prayer is one of the best ways in which we embody love. 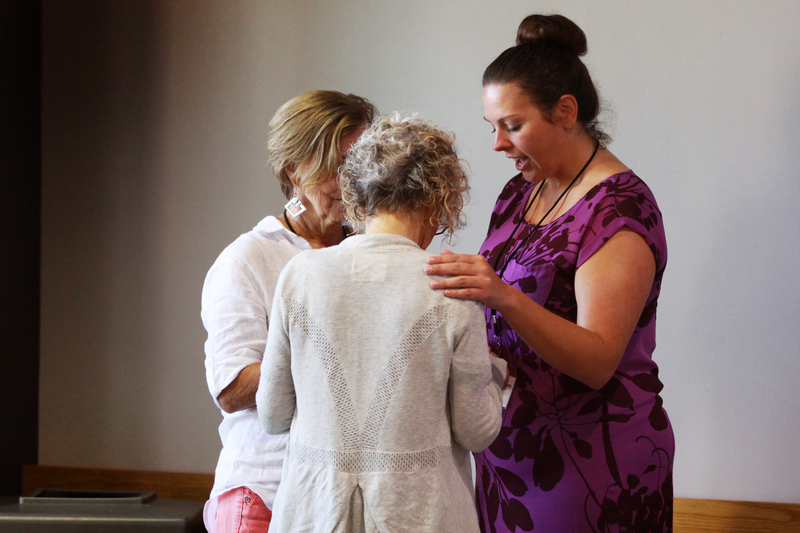 Prayer teams are available during communion at each of our Sunday Services. Receive Prayer Ministries meets every Tuesday in the Christ Church Overland Park Chapel from 1:15-2:45pm and offers prayer for any need. Simply stop by; no appointment is needed. Soul Healing is prayer for personal, inner healing. Each session involves the participant, a leader, and one or two silent prayer partners. It is totally free and completely confidential. As individuals, we often carry chronic, emotional, or relational problems which obstruct our relationship with God. Inner-healing prayer helps free people to live in the abundant life of Jesus (John 10:10). To make a Soul Healing appointment, please leave a message at 913.375.8866. If you know about any prayer needs, please contact our Pastor of Community Life, Amanda Goin Burgess, at amandalgoin@gmail.com or 913.648.2271 x100.